This week a bipartisan coalition of American congressmen announced an initiative to support anti-regime protests in Iran. The Congressional event, which was timed to coincide with the anniversary of the ongoing nationwide protests in Iran, was an opportunity for congressmen from both sides of the aisle to both express their support for the protests and condemn Iran’s corrupt and brutal regime. The bipartisan group of congressmen noted that the outcome of the recent midterm elections in the U.S., which shifted the balance of power to the Democratic Party, would not change the United States’ commitment to the Iranian people and their fight for freedom from the oppressive Iranian regime. 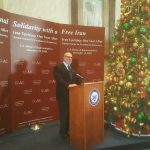 Iranian regime for its human rights violations and its support for terrorism. 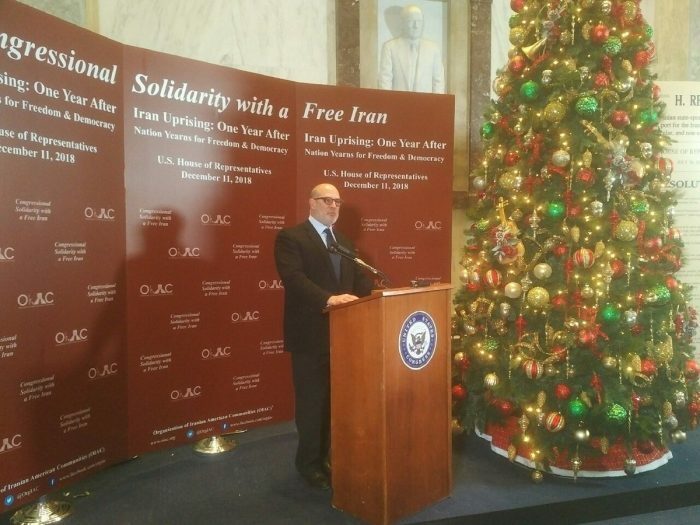 Many of the congressmen present also used the occasion to note the influence of the Iranian Resistance in organizing the protests and how fearful the regime has become in the face of an uprising that could signal the end of the Islamic Republic.